The dreaded announcement came over the loud speaker. "Delta Flight 5955 to Chicago O'Hare has been cancelled due to inclement weather. A flight at Gate 4 is currently boarding with limited space available." I threw my bag over my shoulder and scrambled to the gate, where a line had already formed. The anxiety in the air was palpable, but somehow didn't affect the man standing in front of me. "Buddy! You think we're gonna make it?" I had no idea, but his friendliness gave me a good feeling. The man was Ramiro Ocasio, and five minutes later we were sitting next to each other in two of the last seats available on the plane. He was on his phone before takeoff, speaking to a friend in his native Spanish. When he hung up, always interested in practicing my language skills, I introduced myself in Spanish and we began chatting. As the plane climbed to thirty thousand feet, the story Ramiro proceeded to tell reversed our course and took me below ground to the 59th Street subway station in New York City. "I had my headphones in, minding my own business, and all of a sudden a crowd of people formed," Ramiro explained. "I ran over and saw an elderly man had fallen onto the tracks. He was crawling and couldn't get up. I wasn't going to watch this man die... so I jumped in. I'm not a strong guy but I somehow threw the man over my shoulder and onto the platform. Then I tried to jump out but couldn't because the platform is higher than you think. My heart was pounding. People were screaming. The train was honking now. I jumped up again and some people grabbed my arms and pulled me up and WHOOOSH, the train went by." If I was Ramiro, I wouldn't let a cancelled flight give me anxiety either. As our plane soared towards its destination, Ramiro's passion and energy made a two hour flight feel like two minutes. While the subway story spoke volumes to his leadership and willingness to sacrifice for others, it was what Ramiro went on to tell me that would have a huge impact on my life. 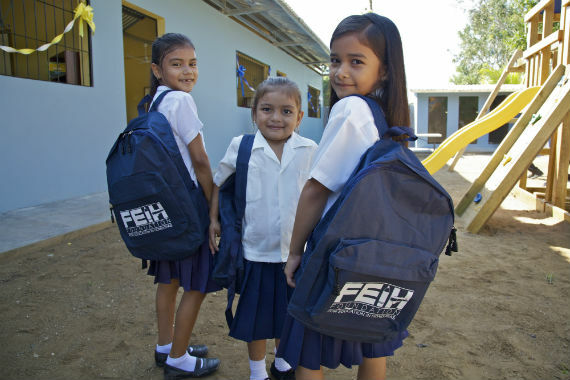 Ramiro was in the process of forming The Foundation for Education in Honduras (FEIH), a charitable organization that builds and refurbishes primary schools in high-need areas of rural Honduras. For years Ramiro had gone to Honduras over Christmas to complete small projects for poor communities in his home country. 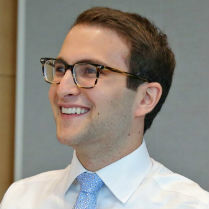 One year he told Jon Henes, a partner at Kirkland & Ellis LLP where Ramiro worked as a mail clerk at the time, about his plans and Jon decided to write a check. The next year Jon helped Ramiro collect funds from other coworkers and told Ramiro to bring him results. Ramiro refurbished a school with the money and months later the principal called to tell Ramiro that for the first time in that community, not one student had dropped out of school. 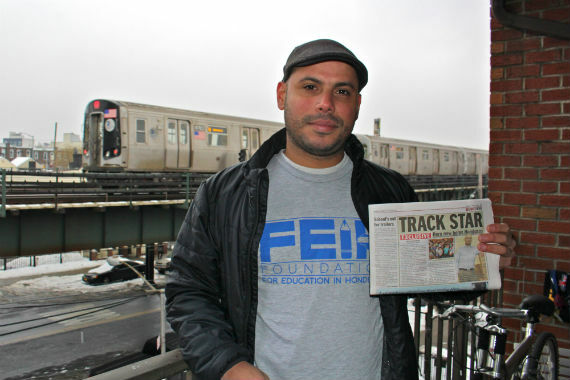 With proven results of the impact that Ramiro's projects could have on these communities and increased publicity from the subway incident causing more people to reach out to Ramiro than ever before, Jon knew that securing 501(c)(3) status would provide the platform Ramiro needed to take his impact to the next level. They partnered together and formed FEIH, with Kirkland completing the legal work. I didn't know much about Honduras at the time, but I knew that this incredible person was trying to provide hope to his country and I had to do my part to help. We exchanged contact information and soon I was volunteering with his team on all types of exciting projects, such as building the website, creating marketing materials for donors, and planning fundraisers. After seeing my work, Jon asked to meet and discuss my involvement in FEIH. He explained that when he was my age he wanted to get involved in various organizations but they wanted only one thing, money. He decided to give me the opportunity that he never had to make an impact and told me that I should join FEIH as the President of the Junior Committee. When I asked what a Junior Committee does, his response was that it was my job to figure that out. As I set out to work, telling friends, family and coworkers about my involvement in FEIH, they were generous in providing time, money and ideas to the cause, but not before asking the same question -- why Honduras? I wish it were a harder question to answer and I hope one day FEIH's work will make that the case, but here are just a few facts that demonstrate the need for assistance: Honduras has the highest murder rate in the world, more than half of the population lives in poverty, and it's the country with the most attempts by unaccompanied minors to illegally migrate to the United States. Education, the single most important factor in changing these statistics, faces challenges of its own. Schools are often rundown and unable to address the students' basic needs. Crumbling infrastructure leads to uncomfortable and unsanitary conditions for students and teachers. When these conditions are accompanied by a lack of basic school supplies, learning becomes virtually impossible. FEIH is working hard to address these challenges. In less than a year and a half it has partnered with the Clinton Global Initiative in a Commitment to Action to build at least five schools in three years, created a Junior Committee with twenty members across five states and three college campuses to provide leadership opportunities and cultural awareness to students and young professionals in the U.S., and most importantly, cut the ribbon to open its first school on January 16, 2016. 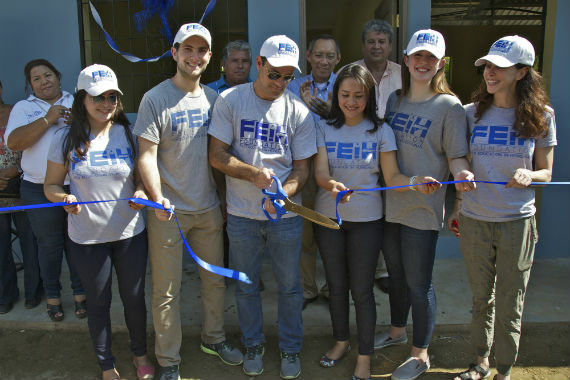 A dilapidated two-classroom facility was transformed into a six-classroom, six-bathroom school with a playground, running water and electricity. Local materials were used in construction and local laborers, many previously unemployed, were hired for the job. Each student received a backpack with school supplies, a uniform, and shoes made by local artisans. I thought it would only be fitting to finish this post where my FEIH journey started -- on a plane. Luckily on Friday January 14, 2016, Delta Flight 575 was not cancelled and I was able to see Honduras and the FEIH ribbon cutting ceremony with my own eyes. While Argentina and Irma (the two Honduran women who sat next to me on the plane) may never have jumped onto a subway track to save a life, the smiles they gave me after learning the reason I joined them on the flight were just as powerful. Visit here for more information on FEIH. Jordan Elkin is the President of the Junior Committee at the Foundation for Education in Honduras (FEIH). He holds a BA in Political Science and Asian Languages & Cultures from the University of Michigan and he works as an Analyst in the Morgan Stanley Human Resources Department.